Our athletes from juvenile to senior and masters have been competing in open sports and open races around the County and beyond over the past couple of weeks. 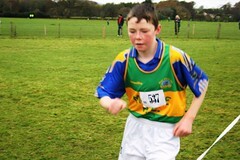 They have been in action in Tullamore, Gowran, Templetuohy, The Ragg and Dingle and all have given their best. Well done to all on your performances.